Turn on the oven super low. 300F/ 150 degrees/ gas mark 2 is about right for this. Place them in the oven, and check them after 30 minutes and then again at 40 minutes if they were fully brown or leaking at 30 minutes. Let them cool down, then cut open the bananas and scrape them straight into your blender for some yummy muffins! Big shout out to my lovely aunty for sending me this recipe- we love eating these for breakfast and they freeze super well. 50g of something to mix in, which might be raisins, chocolate drops, seeds, nuts… the world is your oyster! Cut out the waste by getting the bananas plastic free and the other ingredients from bulk shops or in recyclable packaging. 1. Preheat your oven to 350F/ 177 degrees/ gas mark 4. Or if like me, you hate preheating your oven as it feels like a bit of a waste, just cook your muffins for a little longer in a cold oven. 2. 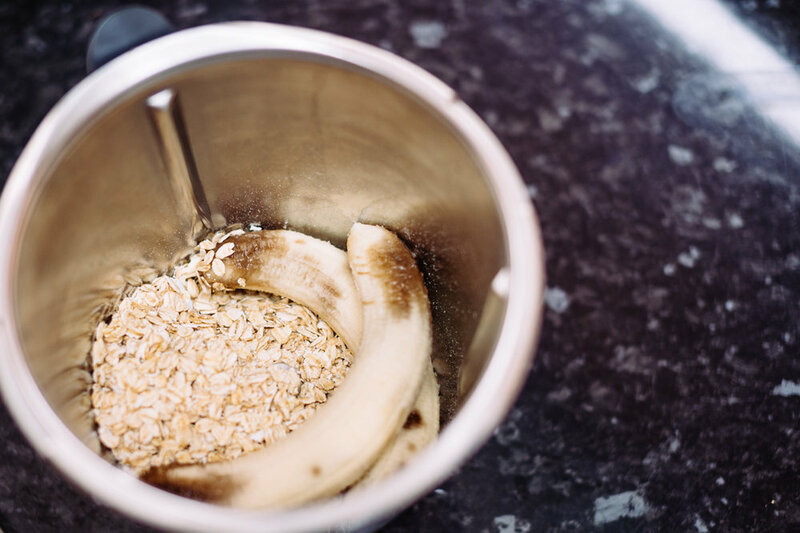 Pour your oats and place your two bananas into the blender. Add the bicarbonate of soda and liquid sweetener too. The bananas need to be ripe, and if they’re not, have a read of the top of this blog post. Trust me, riper bananas makes this recipe more awesome-er. 3. Blend everything together. 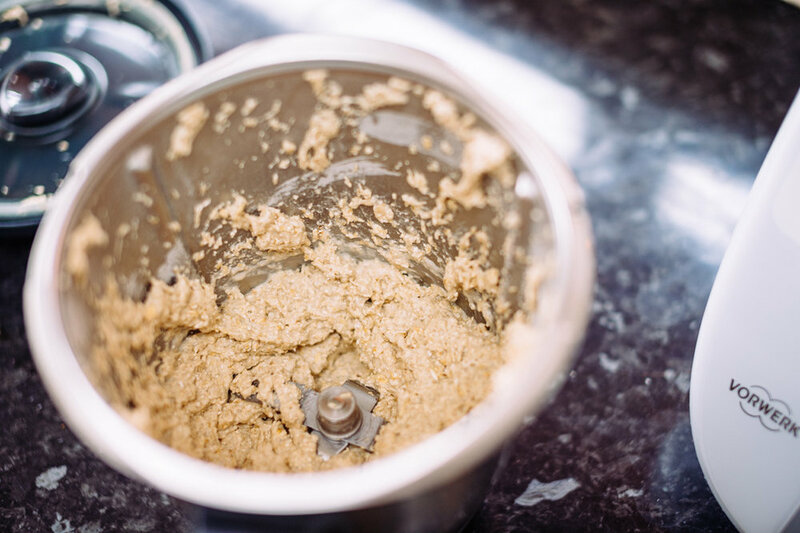 Depending on how powerful your blender is, you might have to stop it part way, scrape down the sides and blend again. You want it to be relatively smooth. 4. Stir in your yummy 50 grams of chocolate/ raisins/ whatever you picked. 5. Using a desert spoon, spoon your mixture into the muffin tin, and place into the oven for 15- 20 minutes. To check they’re done, stick a metal skewer or fork into the center of one of them. If it’s done. It will come out clean. 6. When fully cooked, remove from tins and leave on a rack to cool.